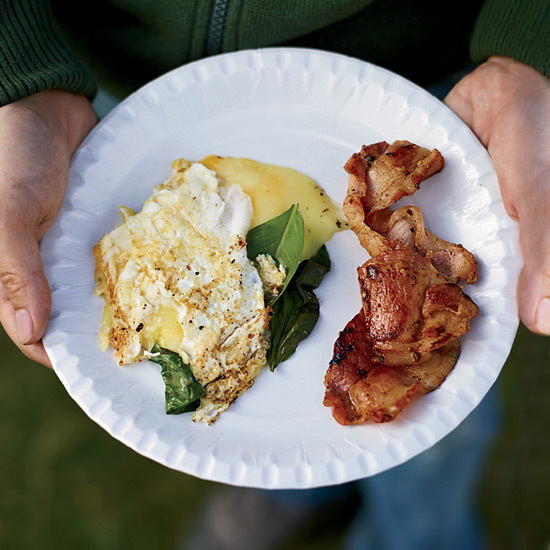 Breakfast is better with bacon—and that goes double on Father's Day. 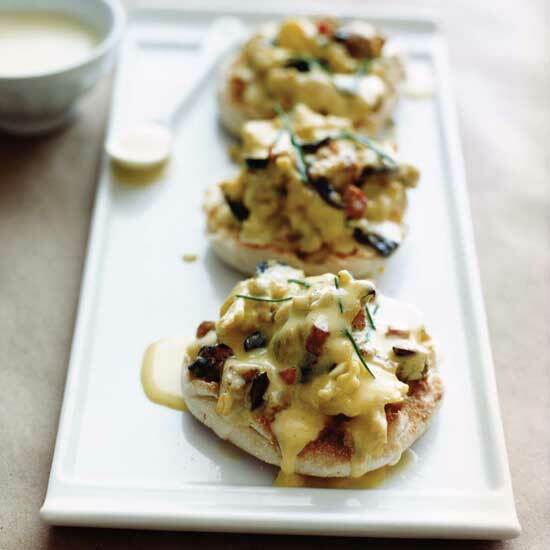 From over-the-top breakfast pizza to luscious eggs Benedict, here are nine superb bacon-packed breakfasts to make for Father's Day. 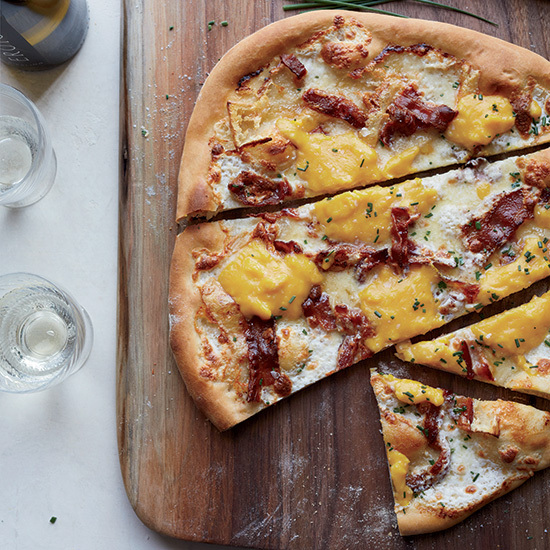 This incredible breakfast pizza features crisp bacon, scrambled eggs and both Brie and mozzarella cheeses. 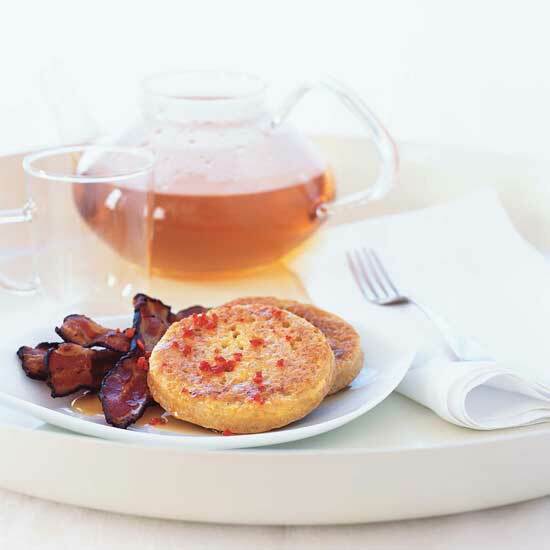 Chef Jamie Oliver's quick crumpets are topped with chopped red chiles. Mark Canlis, co-owner of Seattle’s Canlis restaurant, adds a little whisky to bacon, along with brown sugar, to caramelize and flavor it. 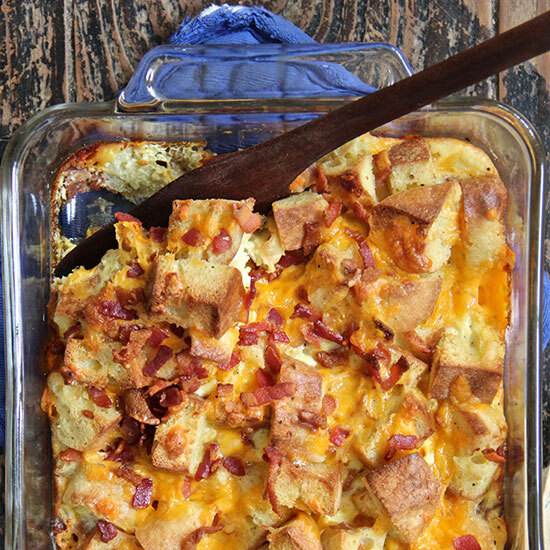 "I worship the crisp bottom and the chewy, moist bread," remarked an F&W editor of this bacon-studded breakfast casserole. 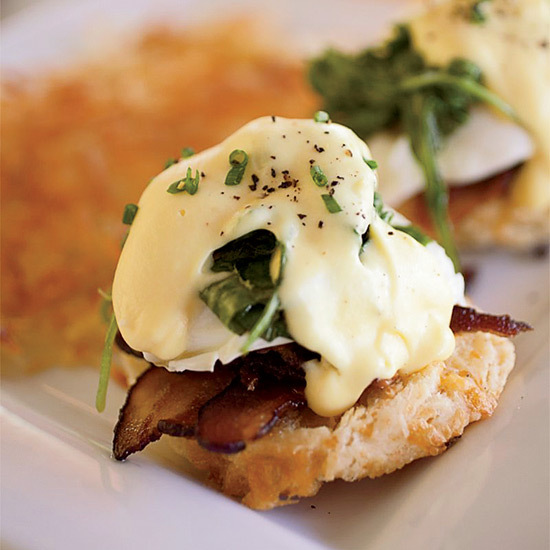 Rich, crispy applewood-smoked bacon stars in this fast eggs Benedict recipe. 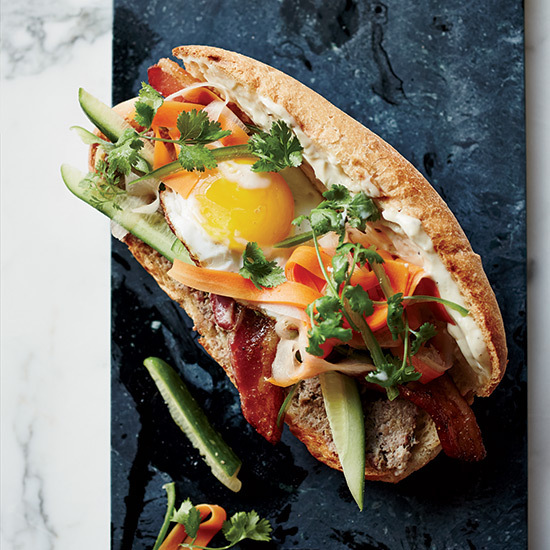 This amazing Vietnamese sandwich is made with duck pâté, spicy pickles, five-spice-flavored bacon and a fried egg. 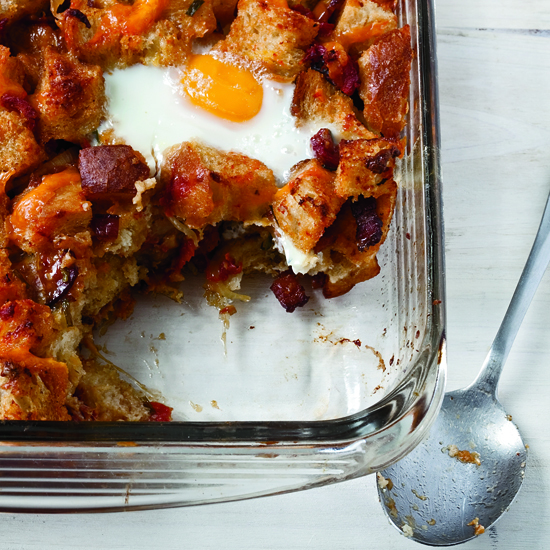 This hearty bread pudding combines all the classic breakfast sandwich ingredients—bacon, egg and cheese. 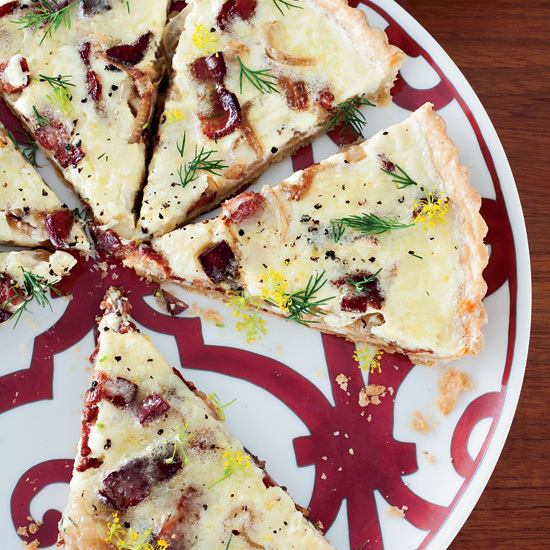 Thin-crusted Alsatian pizza was the inspiration behind star chef Jean-Georges Vongerichten's fantastic quiche.